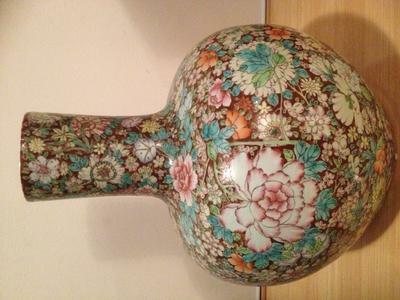 I have recently purchased a large vase with a guangxu mark - H 50cm, W 40com with base 24cm. Is this made in early 20th century? 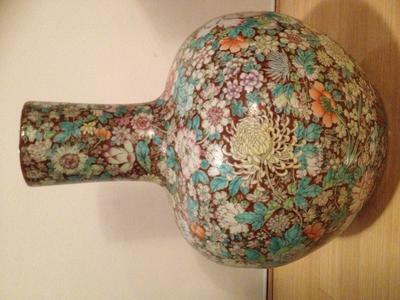 Would be great if you can tell me more about this vase. Thanks. 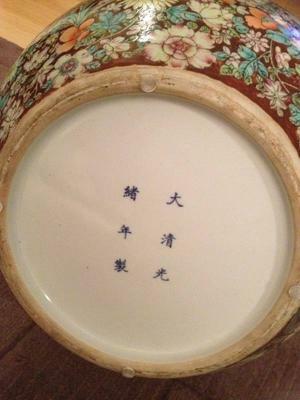 The whiteness of the bottom means it was likely made post-Qing, but I cannot tell for sure if early republic or later. Most such items with flowers on a black ground are usually later, but the painting of yours is more dense - so not sure. 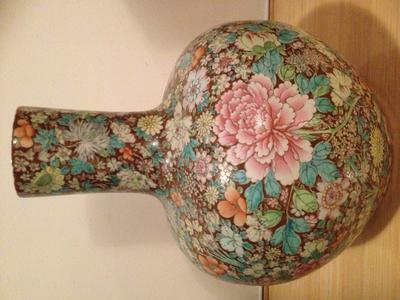 What I would recommend is to do Internet image searches for "millefiori vase", "Chinese mille fleur vase", or in Chinese: "百花不露底", "百花不落地", etc. and compare. The large majority of millefiori items were made in the republic period and later. However, with vintage and newer items it is generally difficult to know from when they are exactly. With flowers there are less points of reference regarding painting style, etc., so flowers are a bit more difficult to use for age evaluation, via style of painting. The use of the Guangxu reign mark indicates that it is likely republic period, but we cannot be completely sure. It is just more likely to be earlier because apocryphal marks used later on in the 20th century use more often than not red Qianlong marks.